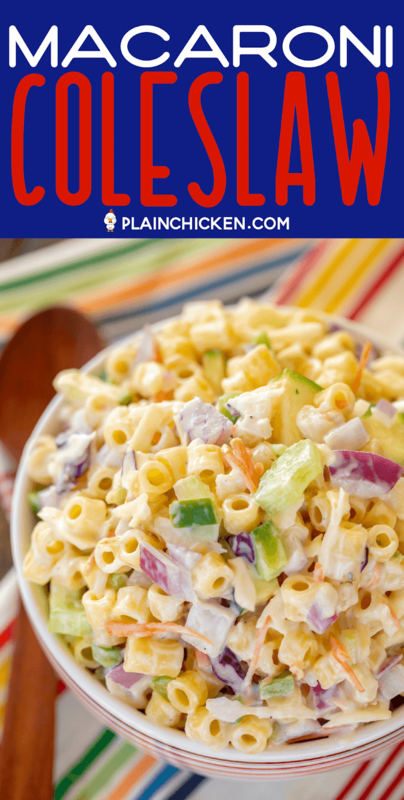 Pasta Salad and Coleslaw in one delicious side dish! 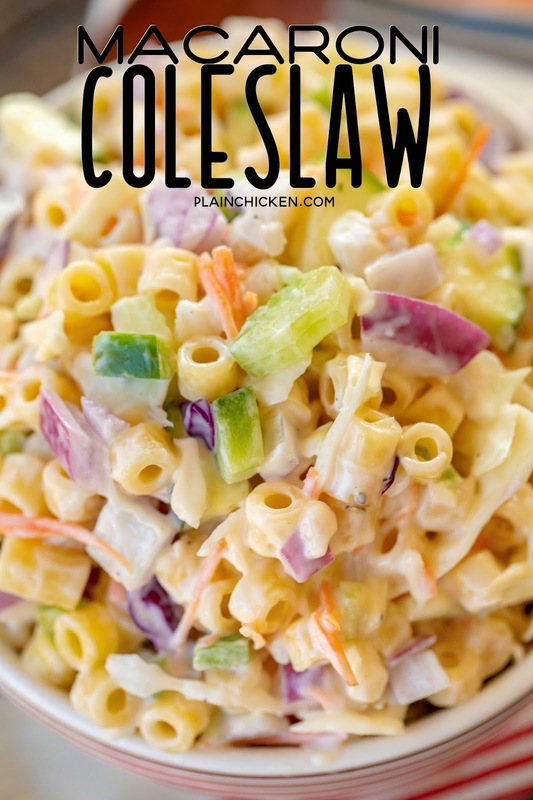 The dressing for this Macaroni Coleslaw uses Miracle Whip. I know some people don’t like Miracle Whip. Chicken Legs loves Miracle Whip, so that is what I used. If you aren’t a Miracle Whip fan, you can definitely substitute plain mayonnaise in the dressing. I used ditalini pasta for the macaroni in this recipe. I got it at Publix. It is a common pasta shape, so you shouldn’t have any problems finding it. You can also use elbow macaroni, small bow tie pasta, small penne or any other shape will do just fine. Feel free to clean out the pantry! 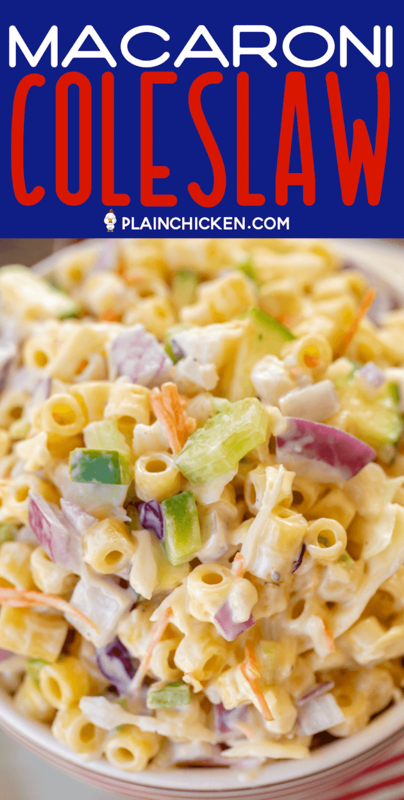 How Long with Pasta Salad and Coleslaw keep? 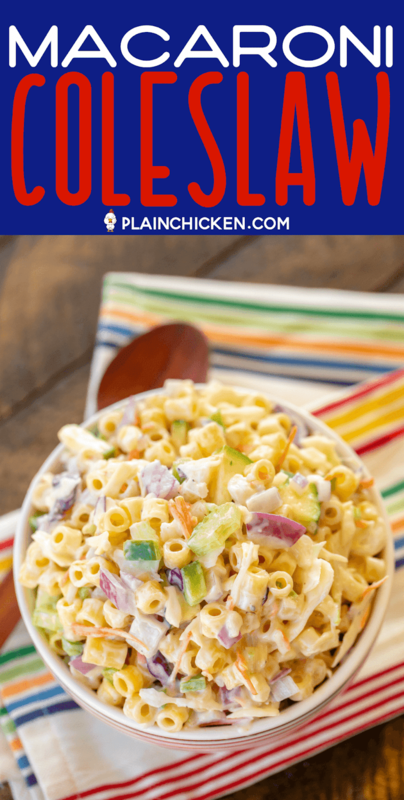 You can make this Macaroni Coleslaw in advance and store it in the refrigerator until you are ready to serve. It will keep 3 or 4 days in an air-tight container. If you are taking this to a picnic or tailgate, make sure to store it in the cooler. 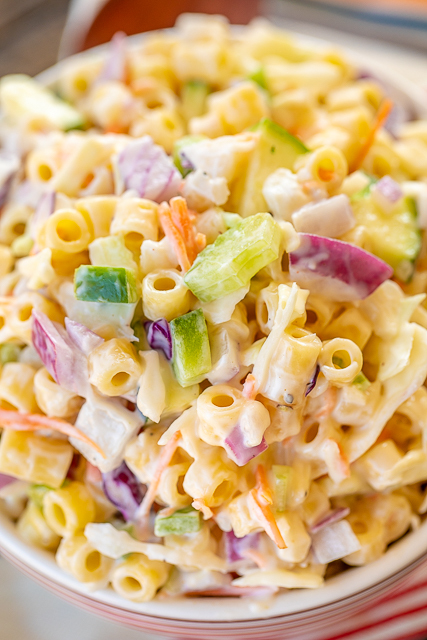 You don't want this mayonnaise based Macaroni Coleslaw sitting out all day. I put a little out at a time so it doesn't spoil. 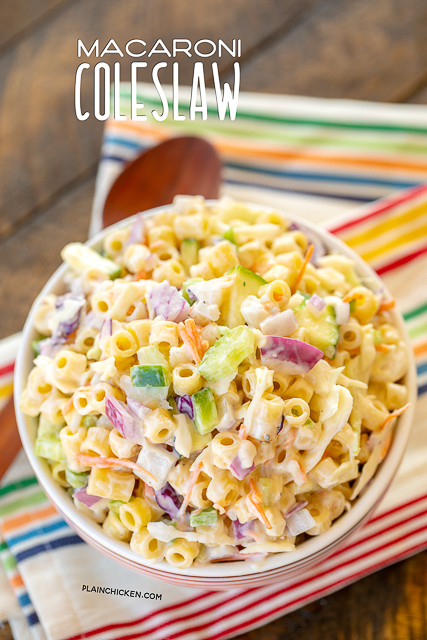 We loved this easy Macaroni Coleslaw. It goes with just about anything - pulled pork, burgers, sloppy joes, fish, BBQ. I also love that you can make this ahead of time! This recipe makes a lot, so it is great for a crowd! Perfect for all your upcoming Spring and Summer gatherings! In a large bowl combine cooked pasta, coleslaw mix, onions, celery, zucchini, green pepper, and water chestnuts. In a small bowl, whisk together Miracle Whip, sugar, cider vinegar, salt, and pepper. Pour over salad; toss to coat. 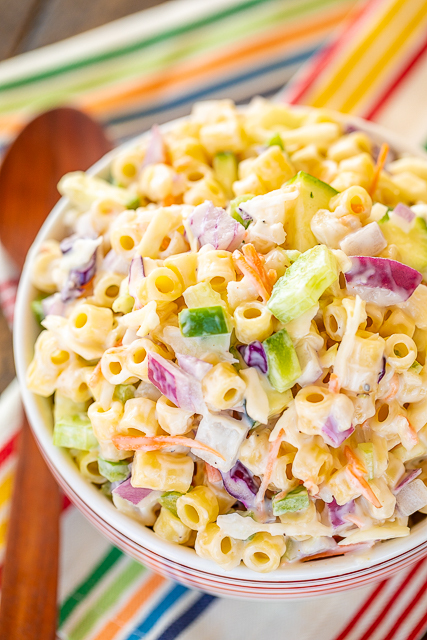 I love summer pasta salad! This looks so great - I can't wait to make it! Sometimes I'll add the fake crab and have it for dinner too! Yes. My store sells a coleslaw mix with red and green cabbage with come shredded carrots in the mix. Not the one that has the dressing mix with it...??? Not sure what you are asking about. If it is the coleslaw mix it is just a bag of shredded cabbage & carrots that says coleslaw mix. Mine didn’t have dressing mix in it. I have never seen that.